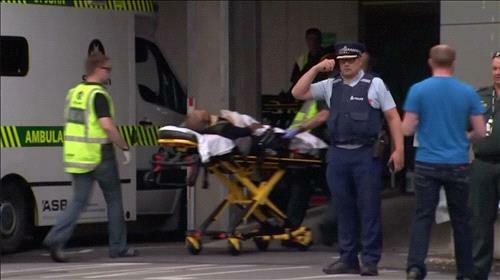 AMMONNEWS - Director of Operations Center at the Ministry of Foreign Affairs, Sufian Qudah, said the bodies of four Jordanians who were killed in the New Zealand terror attack will be buried in Christchurch city Friday afternoon. Ahid Sweidat, the head of a diplomatic team dispatched by the ministry to New Zealand, received letters of condolences from New Zealander authorities voicing their deep sorrow over the tragic deaths of Jordanians, highlighting their readiness to hand over the bodies to their families. The diplomatic team began coordinating with families to prepare for the funeral which will be held in New Zealand. Qudah, who is also the ministry's Spokesperson, said the team visited the injured Jordanians and followed up on their health condition, noting that they are steadily recuperating. He gave an update on a Jordanian child who was also injured in the shootings, adding she is stable and receiving the best medical treatment. The operation center had issued 14 travel visas to the families of the victims, said Qudah.